[TRANS] It has been a day since I came back from Germany. I played soccer again today. Even if it snows..and the snow hits my face.. Even if my body freezes..I like it so much, what can I do about it.. 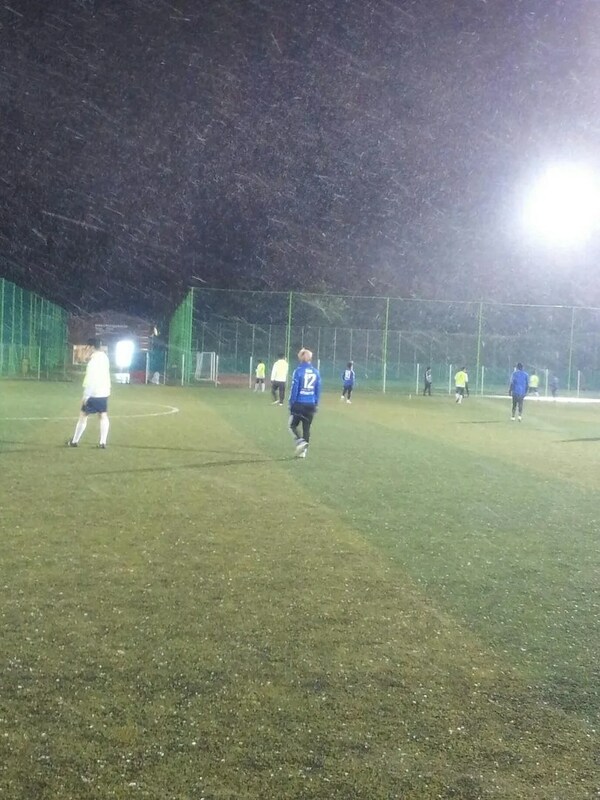 I don’t care if it snows..Even if it is windy, rainy or a storm rages, I play soccer.